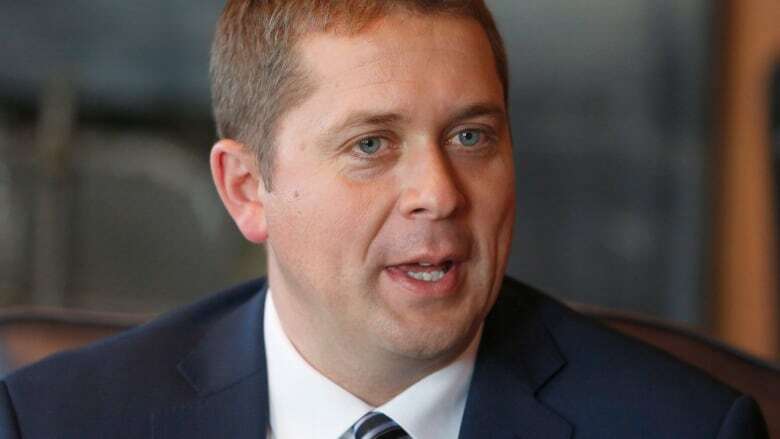 Opposition leader Andrew Scheer is accusing the Liberal government of "imposing" the prime minister's views on faith groups that fear they will be denied funding for summer jobs due to their positions on abortion. On Wednesday, Prime Minister Justin Trudeau told a town hall in Hamilton that groups are welcome to apply for the Canada Summer Jobs program, but if those groups infringe upon a woman's right to choose, "that's where … we draw the line as a country." Scheer was asked about the policy Friday following his speech at an event hosted by the Mississauga Board of Trade, telling reporters his party has heard from concerned groups who are opposed to the application process. The revised application requires employers to attest that they uphold fundamental rights, including "women's rights and women's reproductive rights." Under the program, MPs allocate federal funds to non-profit organizations and small businesses in their ridings. The change in the application process comes after a review last year that was prompted by revelations MPs approved tens of thousands of dollars in grants to anti-abortion groups in two ridings. "I believe that the federal government should respect the freedoms that Canadians enjoy to have different beliefs and that by imposing personal values of Justin Trudeau on a wide variety of groups is not an appropriate way to go," Scheer said. "They fear that they would not be able to provide those much needed services within their communities or provide young people with the experience. We've been talking with those groups and listening to their concerns," Scheer said. "We have concerns with the way this Liberal government is treating people with different opinions on different issues." The Southern Alberta Bible Camp said it couldn't agree to the attestation and, as a result, now stands to lose approximately $40,000 for six summer counsellor positions. "We don't believe that abortion is right and we're being told that in order to be able to access these [federal summer job] grants we need to affirm that," Jon Gartly, executive director of the SABC, told CBC News. Another camp, Camp Evergreen in Sundre, Alta., said it is unsure how it will proceed. "The initial reaction is that it would be very difficult for us to sign that," said executive director Bob Kroeker. He said he isn't sure if he will apply without the affirmation or forego applying entirely. Employment minister Patty Hajdu defended the application process Friday at a cabinet retreat in London, Ont., affirming groups are encouraged to apply for funding but must not "discriminate" against fundamental rights. "We think this is a fair process," the minister said. "I'm saying our ministry believes in the Charter of Rights and Freedoms and these are fundamental expectations of Canadians, and we stand up for those rights — and that we ensure that the money that we disperse on behalf of Canadians is not used in a way that violates those hard-won rights." The deadline for applying for 2018's Canada Summer Jobs program is Feb. 2.